You depend on diesel fuel to keep your generators, heavy equipment, and farm machinery running. Trust Foster Fuels for affordable, efficient delivery of a superior product. Since 1921, we have been a proud partner to businesses all across Virginia. Contact us first for diesel deliveries of any size throughout the state. Light Commercial Operations: With same-day service, volume discounts, and attention to detail you’ll only get from a locally-owned business, Foster Fuels can provide diesel fuel delivery directly to your business. Agriculture: Diesel is the lifeblood of almost every farm in Virginia. We offer competitive pricing, on-site delivery, and purity testing of off-road diesel throughout the state. Foster Fuels is a full-service diesel delivery company committed to providing the highest quality products at a price that respects your bottom line. We sell Ultra Low Sulfur Diesel (ULSD) fuel, a cleaner-burning diesel fuel containing a maximum 15 parts-per-million (ppm) sulfur–either clear/on-road ULSD or dyed/off-road ULSD. In addition to petroleum diesel, we also sell E85 and E10 ethanol and biodiesel blends. Our recent investment in a state-of-the-art biofuel processing center in Brookneal, VA, has expanded our ability to serve clients in this growing market segment. If you’re considering making the switch to biodiesel for your business or farm, contact Foster Fuels for more information. With our optional satellite tank monitoring service, larger business customers automatically receive diesel fuel delivery service when they need it and receive advanced reporting—no monitoring tank levels or arranging emergency fuel runs. We also provide on-site quality testing, engineering support, and a number of other services. Contact a representative today for more information. We have thrived for almost 100 years not only because of the quality of the product we offer but also because of the service we back it up with. Our knowledgeable staff can ensure you have the fuel you need to run your business efficiently and effectively. Foster Fuels is a family business that has built its reputation over three generations of providing innovative products and services. 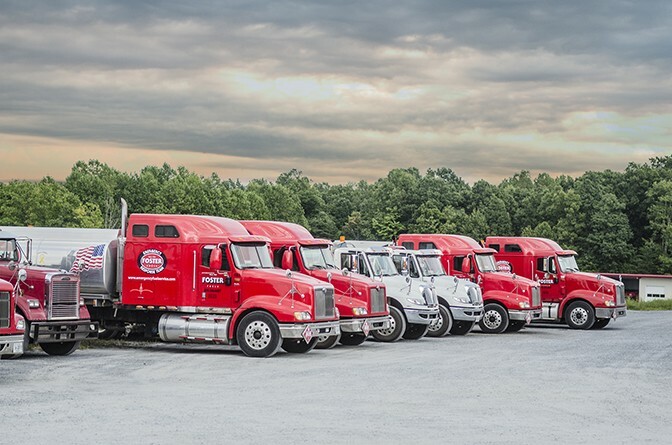 From our humble beginnings, we have gradually expanded our operations to provide diesel fuel delivery to clients throughout Virginia and beyond without abandoning personal, knowledgeable service for everyone we work with. Let us be your diesel delivery service provider. See why we’ve become the professional’s choice for all fuel service needs.